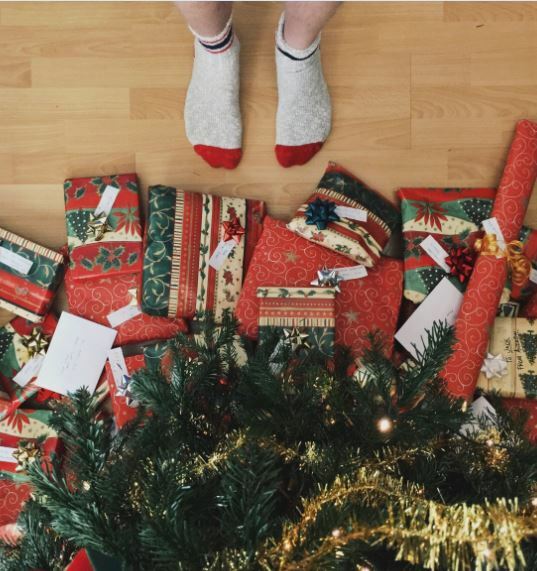 We’ve created a guide to help you nail the holiday gifting season. Shop some of our favorites —highlighted below—to find the perfect present for every working person on your list. Nothing says you’re ready for adventure like a stainless steel flask. 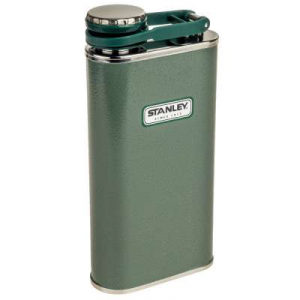 Channeling Mad Men, our Stanley brand flasks come in classic colors with a sleek, throwback design. Worry not about losing your cap—the integrated lanyard will help you with that. It’s 100% leak proof too so it’s ready to travel when you are. Gift the adventurer in your life. 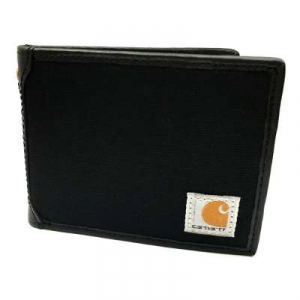 Our Carhartt Rugged Canvas Passcase Wallet is a perfect addition to any man’s back pocket. The subtle Carhartt logo displayed in the corner let’s you know that it’s made from material you can count on. The classic style makes it a versatile piece that will work every day of the week. Whether he’s been naughty or nice, your man deserves a gift of quality leather for all of his hard work this year. 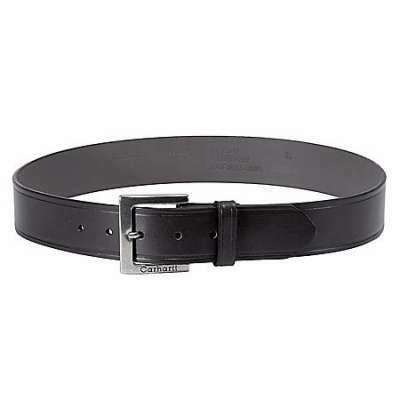 Belts from Working Person’s Store are designed to give every man a dependable and stylish fit. 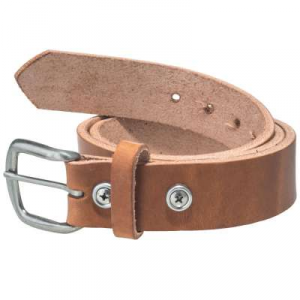 Our selection offers features like elastic stretch, velcro closure, supple finish and more. 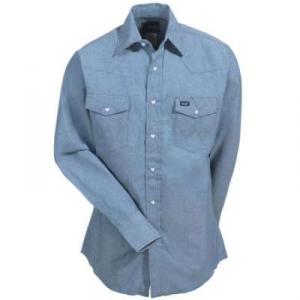 Spread holiday cheer to the cowboy on your list with our Wrangler Chambray Long Sleeve Western Work Shirt. This lightweight yet durable piece works on the job or on the town. The trusted Wrangler brand created this 100% cotton shirt with details like pearl snaps and Western style, spade-shaped flap pockets to make any lasso-lover proud. Give your special someone a holly jolly Christmas with our Filson Cruiser Jacket. 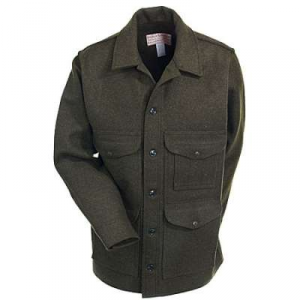 Made in the USA with Mackinaw wool, this water resistant jacket includes plenty of pocket storage and button closures. This outerwear classic is the ultimate gift of style, comfort and versatility. Ho, ho and ho. Land a spot on Santa’s Nice List by giving the gift of quality, safety and comfort. 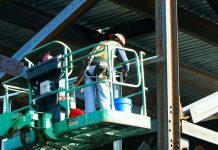 Our Timberland PRO TiTAN Safety Toe EH Work Boots pack a punch and meet compression, impact and electrical hazard standards. With a Power Comfort System and temperature-regulating technology any working man will appreciate a pair of these under his tree. Tis the season to give the perfect outerwear staple. 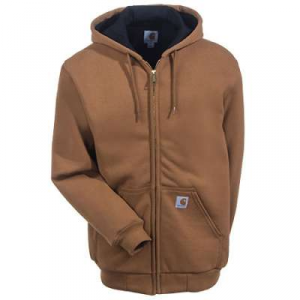 This Carhartt water repellant hooded sweatshirt is sturdy and stylish and works for the worksite and everywhere else. 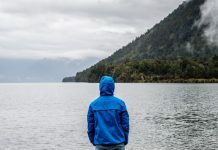 Thermal lining, a three-piece hood with spandex cuffs and waistband will work together to keep your hard worker snug and dry. WorkingPerson.com Gift CardsDo you have a hard-to-please person on your holiday shopping list? Are you running late to your office Christmas party and need a good gift fast? Relax and let our Working Person’s Store gift cards work their magic by offering unlimited options of quality apparel. Choose an amount from $5-500 to delight the working people on your list. 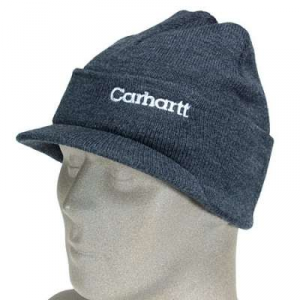 Our Carhartt Acrylic Knit Cap serves double duty giving protection from the cold and sun. The built-in visor shields rays from your eyes and the 100% acrylic rib knit keeps your dome—and ears—nice and snug. Since it’s Carhartt, you know you’re getting style and quality in one nice package—just add a big red bow. Put a spring in someone’s step this holiday season with the gift of comfortable, supportive footwear. 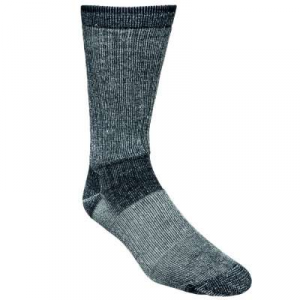 Our two-pack of black hiking socks are created with heel and toe padding, arch support and ribbed tops for maximum appeal. You may want to snag a pair for yourself while you’re at it. Our American flag lace keepers are the perfect gift for the veteran or patriot on your list. 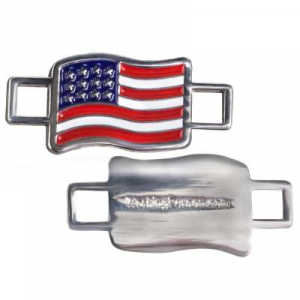 These star and stripes will brighten up any pair of boots or shoes the American way. Stuff a stocking or two with our lace keepers this holiday. Help the rugged man on your list master the basics by adding two fresh pairs of steel-toe crew socks to his stocking this holiday. 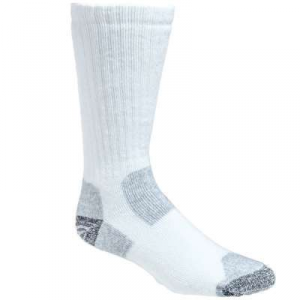 These socks are made from quality cotton here in the USA and feature padded toes and heels as well as arch support. 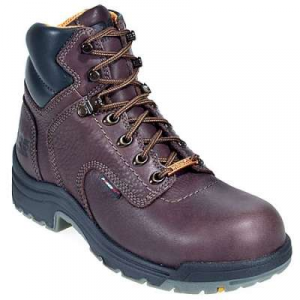 Make all of his work days merry and bright with a quality pair of steel-toe support. cozy gift under her tree. 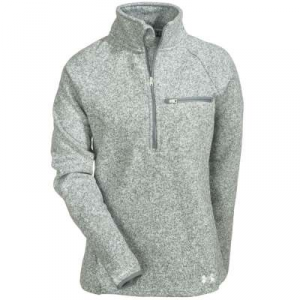 Our Under Armour Water-resistant Wintersweet Half-Zip Jacket is equal parts style and function and the perfect addition to any active woman’s wardrobe. The winterfleece adds ultimate comfort for a trifecta of quality outerwear goodness. Do you have a tough chick on your list who isn’t afraid of hard work? It’s time to reward her this holiday with a pair of work boots that will improve her performance and comfort on and off the clock. 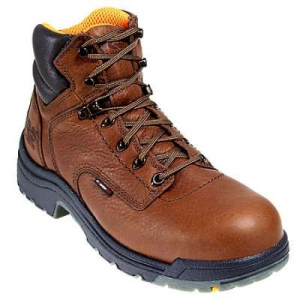 Our Timberland PRO Women’s TiTAN Brown Steel Toe Waterproof Boots are crafted from brown leather and include features to support any woman’s hustle like shock-absorption, PowerFit Comfort system and more. 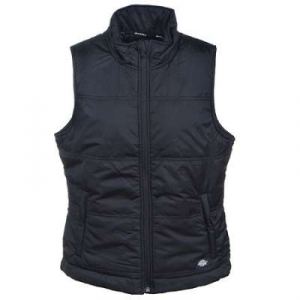 Our Dickies Water Resistant Vest is a perfect gift of warmth and comfort in a lightweight package. Durable water repellant material, quilted fabric and an interior storm flap will keep the elements away. The sleek style and feminine silhouette make this a classic addition to any woman’s wardrobe. When you’re making your list and checking it twice, make sure to add this outerwear favorite. rn and an 1.75 inch heel. 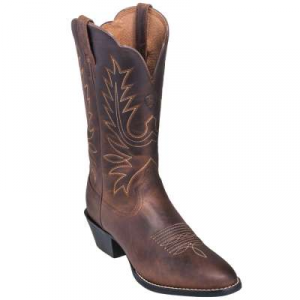 Duratread outsoles and ATS technology give these stylish boots stability and comfort as well.